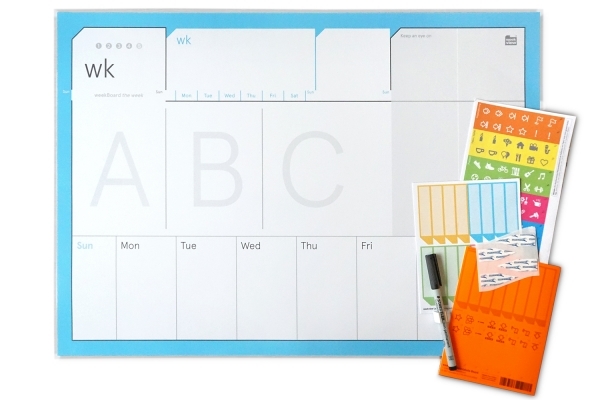 Product information "weekBoard | the weekly planner"
A reusable/ wipeable weekly planner size DIN A2 to hold your weekly to-dos using the A/B/C priority oriented planning system. 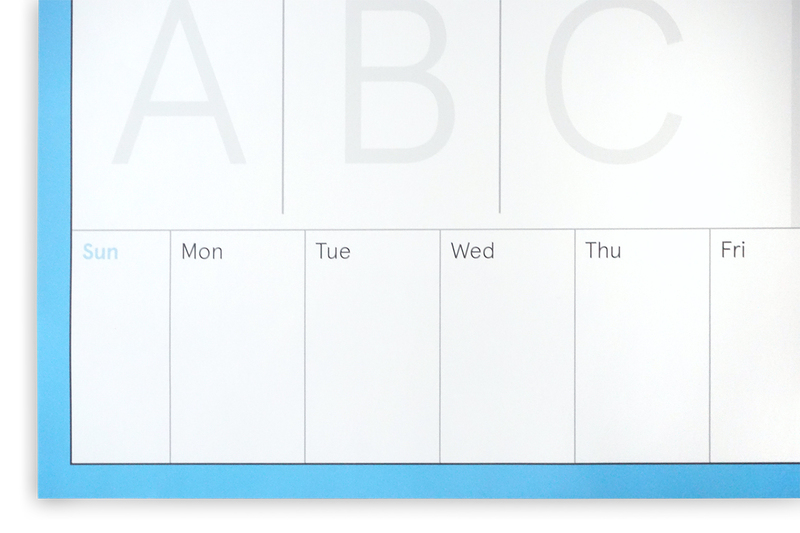 Keep your weekly tasks in view, but also the upcoming 3 weeks. 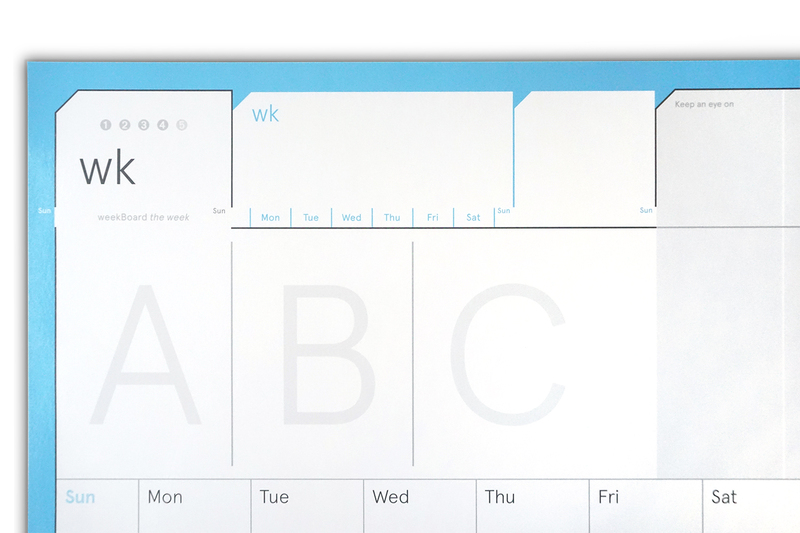 Write down your themes/tasks in the daily sections. 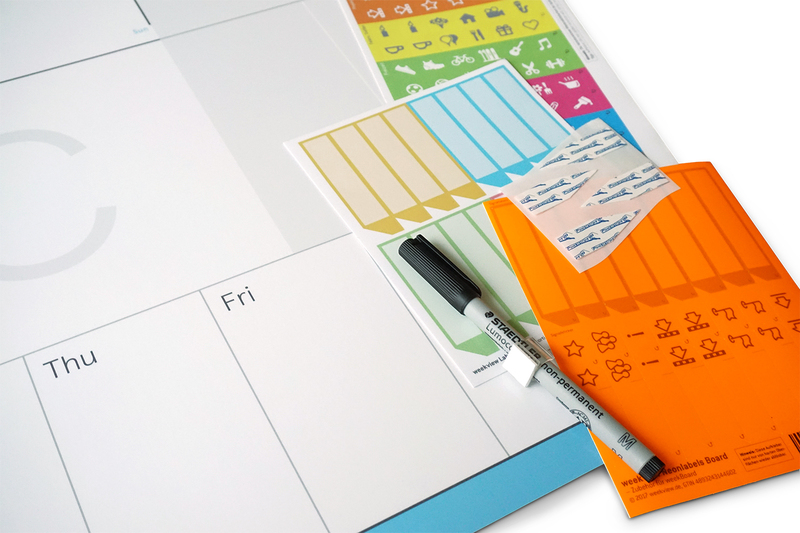 Plenty of accessories: Powerstrips to attach planner to the wall (removable without leaving any residue) non-permanent Lumocolor pen, a pen holder. 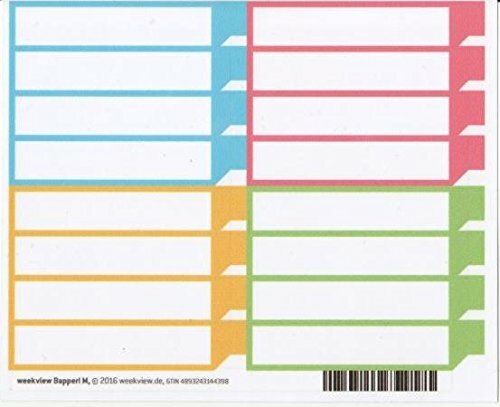 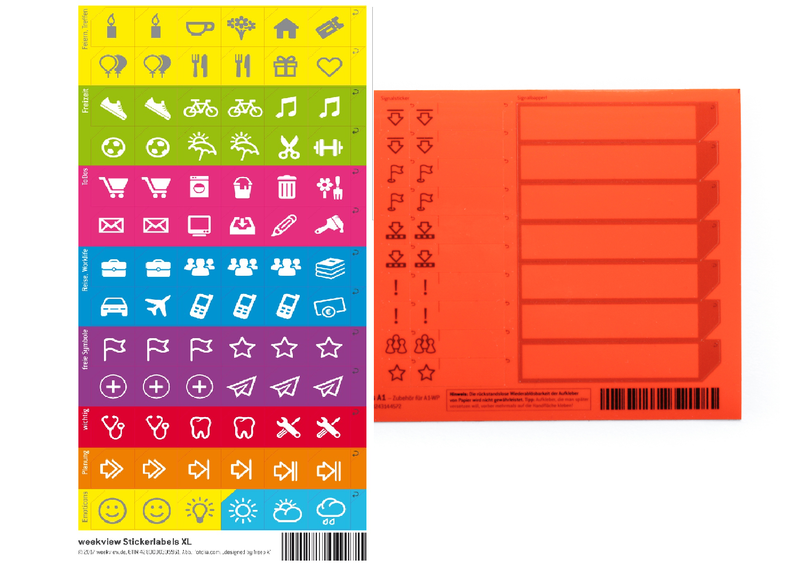 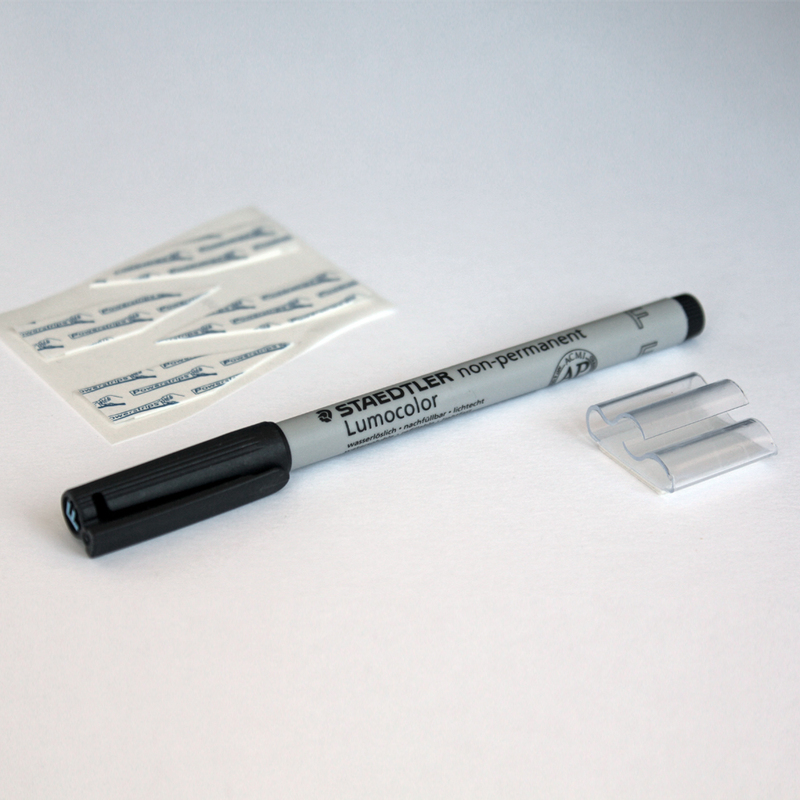 Labels to write on, neon labels and reusable XL stickers. 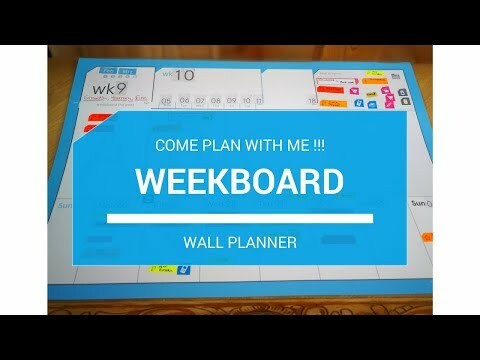 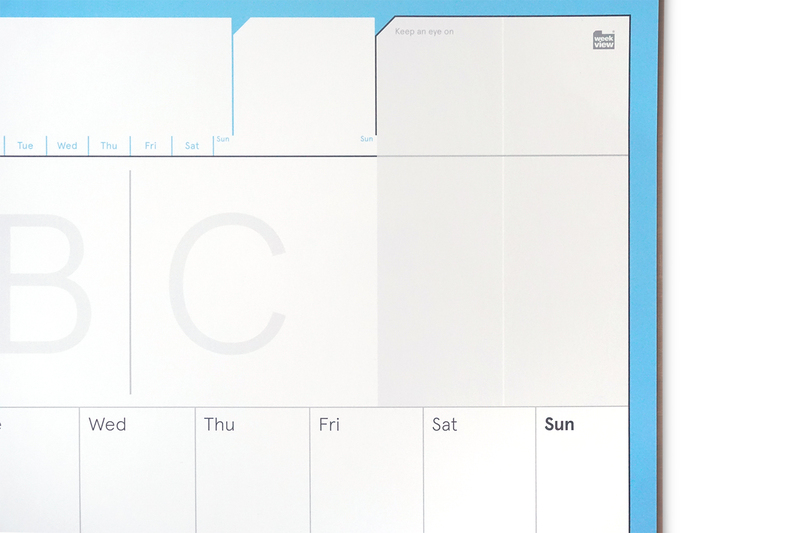 Related links to "weekBoard | the weekly planner"